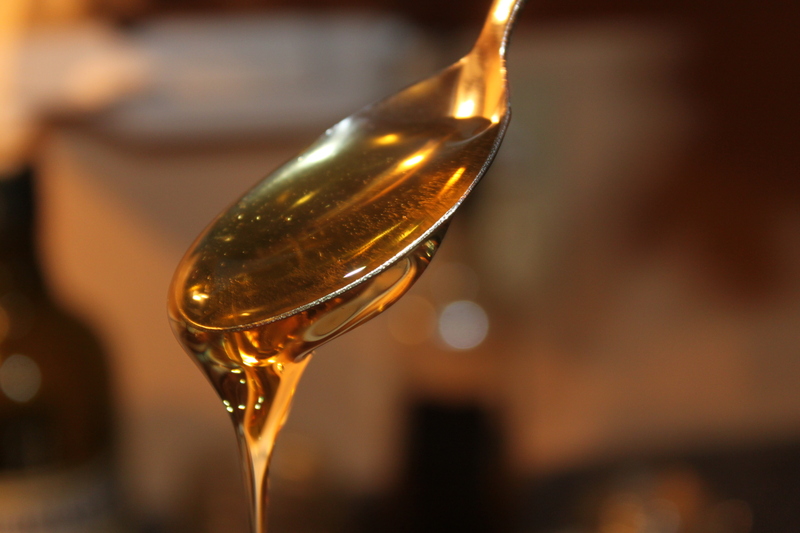 Anyone who reads our blog with regularity quickly realizes how vital of a role honey plays in our life at the farm. Honey is a main ingredient in our strawberry and blackberry jams, homemade granola crunch cereal, granola bars, whole wheat bread – and many other recipes we consume on a regular basis. We prefer using raw honey over processed sugars to provide an all natural form of sweetness – not to mention – it’s really good! (We included links to those favorite recipes listed above at the end of the post). It’s also the perfect sugar substitute for morning coffee and tea – not to mention that Mary and many other converts in our extended family now swear by its ability to curb or eliminate seasonal allergies when taken daily in the spring! 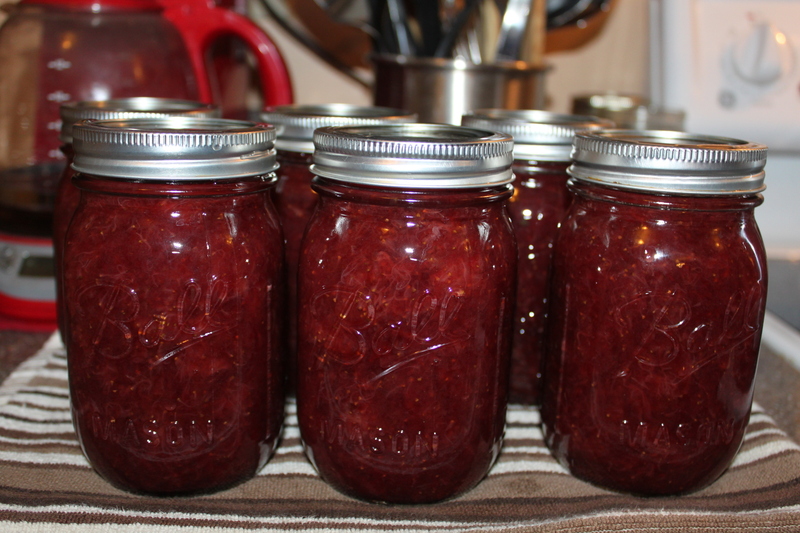 Strawberry Honey Jam – just 4 natural ingredients including of course, honey! The benefits of keeping bees however goes far beyond just the amazing honey we get back from our hive. They also play an important part in our farm’s future success by helping to pollinate all of our fruit trees, grapes, blackberries, strawberries, flowers, and of course, our vegetable garden! Let’s face it – without bees – our world would be a pretty barren place! 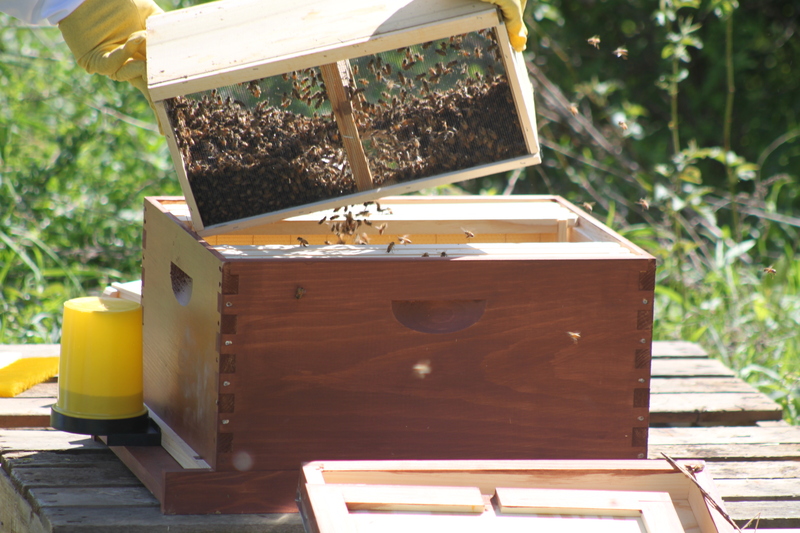 So, with that in mind – we decided to increase our hive from just one to three this year. In fact, if I had to give any advice to someone who is considering raising bees for the first time – it would be to start with at least two right from the start. Why? For one, establishing a new hive can be tricky – and if you start with only one and it does not survive – you are back to square one! Even the best and most experienced bee keepers lose hives – some to pests, some to disease, and others still to a poor queen or a host of other potential reasons. Keeping multiple hives not only protects you from losing your bees entirely, but gives you great reference points to compare activity from one hive to another – making you a more informed and thus better beekeeper. Besides – if everything goes well – you have a bit more honey to distribute to all those family members asking for a jar :). We have spent the last few weeks preparing new hives and ordering frames for our new guests that will arrive this spring. 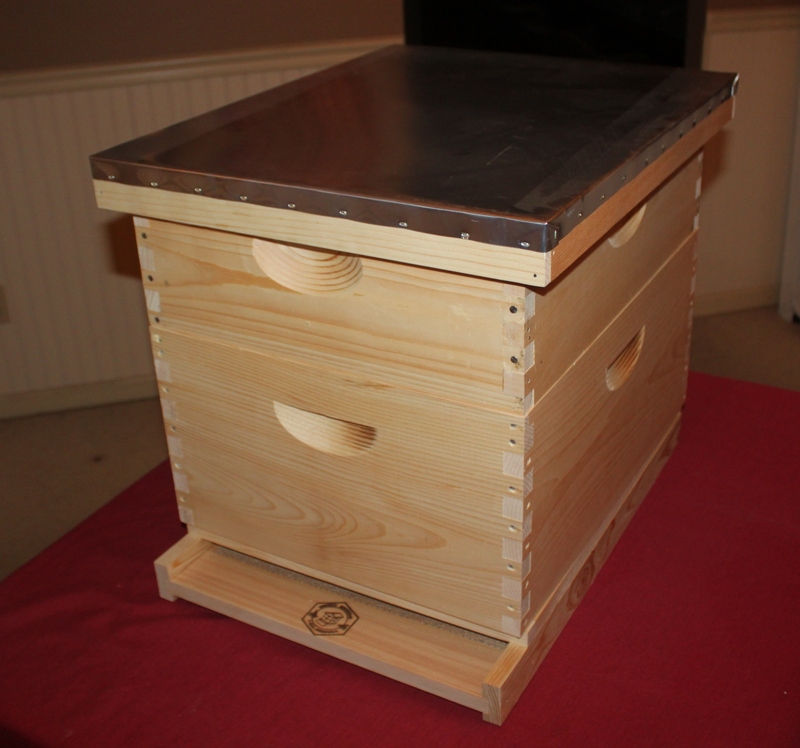 We purchased our first bee hive structure as a complete “build-it-yourself” kit on-line. This time around – we are purchasing the frames and inserts, and building the boxes ourselves to save a little on the cost. 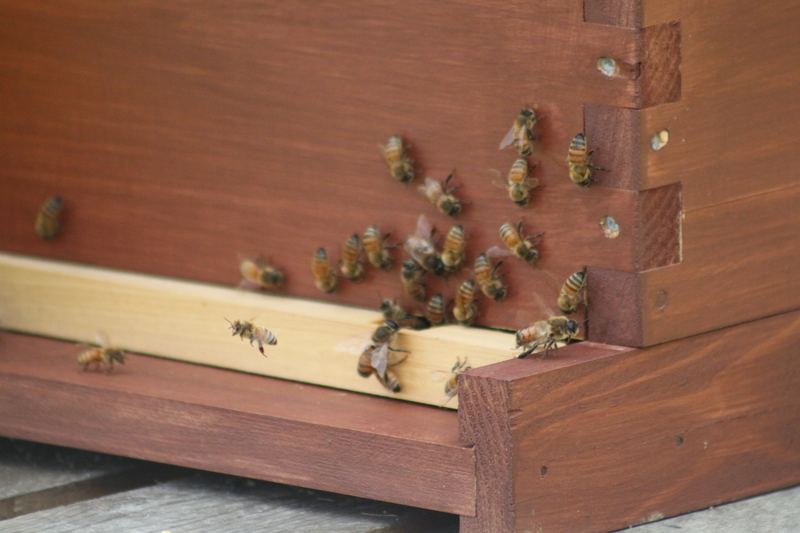 As a point of reference – a typical two box hive with bottom board, frames, cover and bottom will run around $100 to $125 dollars as a kit – and package of bees will run anywhere from $80 to $120 depending on your supplier. Weather permitting, our package of bees will arrive sometime around the end of April. Bees are usually sent through the mail – however, we are lucky enough to have our supplier within driving distance – so we simply pick them up. Over the course of the next few weeks – we will finish off building the two additional hives, and hopefully have our new members of the farm family in their homes by the first of May! ← Soft Pretzel Recipe – Classic Home Made Style!